Solvay believes in a future where innovation means progress for all. Our vision for that future is rooted in our history. 155 years of connecting with the world through science to create a sustainable future for our customers, for our people, for society and for our planet. At Solvay, we have a strong conviction: growth cannot be sustainable if it is achieved at the expense of our planet and its resources. We aim to be recognized as the preferred partner in creating sustainable innovations that offer our customers the solutions that matter, now and in the future. As a leader in advanced materials and specialty chemicals and a key player in the value chain, we take our responsibilities seriously. We find it very motivating to work alongside organizations such as the Ellen McArthur Foundation, in its efforts to drive the transition to a Circular Economy forward, or the World Alliance for Efficient Solutions founded by Bertrand Piccard, to develop and implement concrete solutions to meet environmental and health objectives. Achieving all this means building deep relationships with our stakeholders. Partnering with our customers to build sustainable value and innovative, tailored solutions. Partnering with other scientists, with business, with academic leaders to foster open innovation. Always aligning our expertise with the challenges facing our world. Our people are the lifeblood of our Group. And in a fast-changing world, disrupted by digital, they are the key enablers of Solvay’s success. 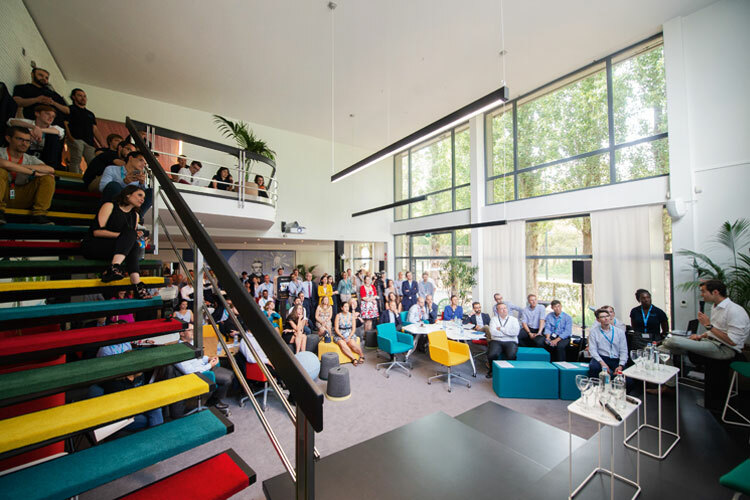 In today’s transformed Solvay, we encourage them to champion collaboration among teams. We seek to create a climate of trust and collaboration that fosters empowerment, puts customers at the forefront of our actions, encourages smart risk taking, creates a sense of inclusion. And we take care to build trust and create the best possible environment for each and every one of them, because our people are the architects of our unique and innovative solutions. Through policies that promote a diverse and inclusive company culture, through facilitating mobility, training and development opportunities, through Solvay Cares, a universal benefits package that exceeds local market standards. Since its creation in 2016, Solvay’s multidisciplinary Well-Being@Work Council has developed dedicated training sessions for managers and for local teams that directly support well-being. It will deploy e-learning trainings in 2019 to raise awareness among all employees. Its priorities include the development of competencies in stress prevention and the implementation of positive behaviors within the Group, with training for managers extending right through to the members of the Group’s Executive Committee and Leadership Council. In 2018, the Council held nine training sessions for managers in six countries, with more than 530 participants in Germany and China alone.